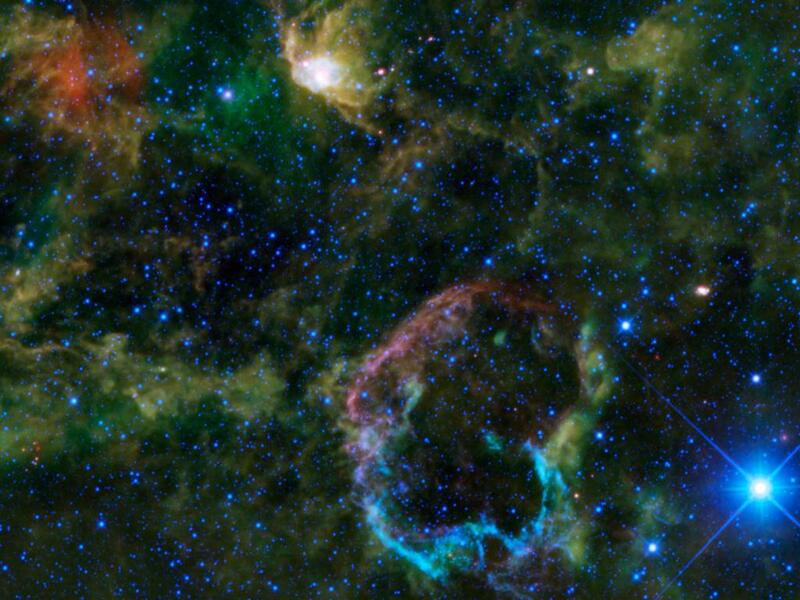 This NASA Image reflects the remnants of a Supernova seen in various infrared wavelengths which are represented by the various array of colors seen in this beautiful image of just one relatively small area of our universe. This “Jellyfish Nebula” is officially called IC 443. I never cease to be amazed by the images that our taxpayer dollars regularly produce through all of the modern-day technology. Along with the Hubble telescope, there are numerous other telescopes that are able to see in normal light as well as all of the other spectrum of light including ultra violet and infrared and then are released to the public when possible. This image is from the “WISE” observatory which searches in the infrared range of light. We need not forget the radio telescopes that search the heavens for other types of information as well. Between the galaxies, nebulae, supernovae, black holes and things that are yet to be understood like dark matter keep our, as well as other star-gazers busy around the clock and around the world.